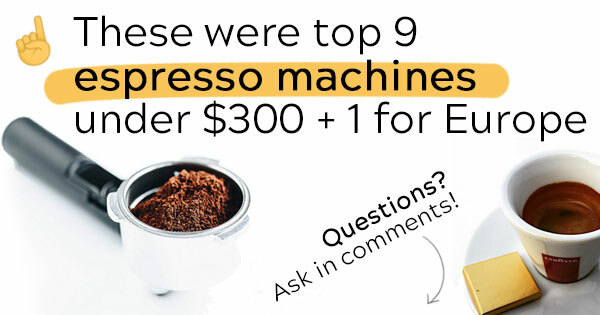 9+1 Best Home Espresso Machines In 2019 Under $300 | Really Tested! Hi! This is not yet another ‘top 10 anything’ website written by a freelance copywriter. This list is based on my reviews and comparative tests made over the past 2 years. All the machines are personally tested by me. I also disassembled most of them to investigate built-quality and durability issues. 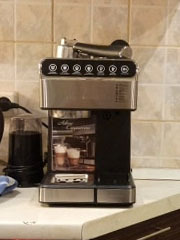 This page covers only semi-automatic manual espresso makers for home with 15-bar pump and list price under $300. However, many machines fall into ‘under $200’ or even ‘under $100’ categories. №1. 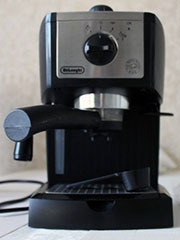 Delonghi Dedica Deluxe (EC685): a universal, but a bit pricey choice. Equally good for espressos, cappuccinos and small kitchens. Best for gifts or for beginners, who don’t have any specific needs yet. Autodosing: just start it and you can go brush your teeth. The machine will stop automatically. 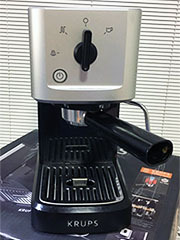 … it has a professional steam wand. Experienced users can make cafe quality milk foam, but beginners may not handle it at all. A bit outdated ‘monster’ from the ’00s, which is no worse than modern Delonghis. 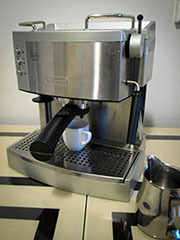 Small (110ml) boiler is only enough for 1 ideal espresso shot (30ml). Max two if well heated. This model was previously known as Saeco Poemia. 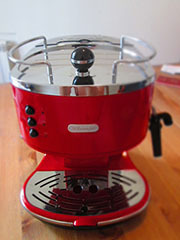 Gaggia Gran is also the same model, but with different controls: read here. 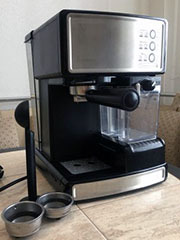 When compared to Gaggia/Saeco with all other things being equal, it brews more bitter. Can list it neither in cons nor in pros – it’s a matter of taste. My favorite machine in this list. Best in the ‘under 200’ budget if you are looking for both cappucinos and espressos. Below this point, I list espresso machines that have more controversial moments than models above. They still could be a good choice, but only with certain provisos. So please read my full reviews to understand if you can deal with particular cons of these models or not. Approx. 10% of people can’t froth milk with manual steam wand. This machine goes with an automatic one. Easier to use but people complain about warranty and support. It’s hard for me to recommend it in 2019. Only if you are really short on budget and only drink espresso. 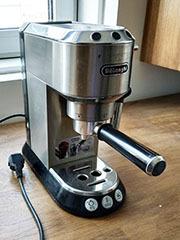 Nevertheless, EC155 and BAR32 (see here) are the cheapest truly Italian espresso makers on the market. The portafilter photo by Marco Verch and espresso cup photo by Sharaf are used under CreativeCommons License. Thank you for you reviews and greetings from Chile! Why don’t you have any Breville in your list? Hi, Ankita! Wow, I’v been to Torres Del Paine several years ago, that was a great experience! Breville isn’t in the list simply because it doesn’t have any machine you can buy for three hundred. 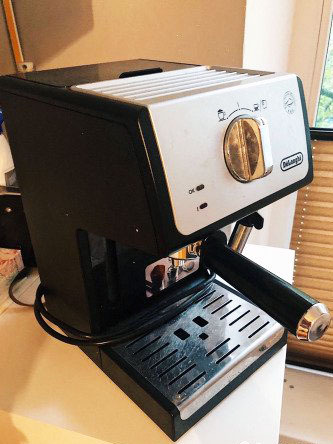 Well, there is one, indeed, that you can find on Amazon on Ebay – it’s Breville ESP8XL Cafe Roma (but this model isn’t even listed on official website anymore). 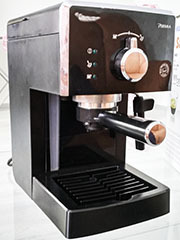 However, this machine have nothing to do with other Breville’s espresso makers, Cafe Roma is simply a OEM-manufactured Chinese machine with no Breville’s DNA. 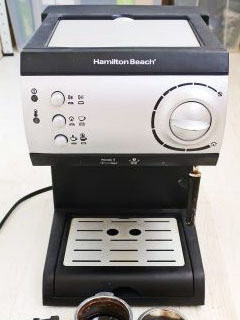 An among Chinese models I prefer cheaper and more reliable (mainly because of general popularity and, thus, spare parts avaiable) Hamilton Beach, Mr. Coffee or Somela (in Chile this brand is more popular as far as I remember). Nevertheless, it is much more preferable in my opionion to choose between European-engineered machines: Delonghi, Saeco, Gaggia, Philips, Krups, Ariete, Briel etc.